Dominion Connect™ MOBILE is Now Available! Dominion Connect™ is now available for users as an Apple and Google Play mobile app. 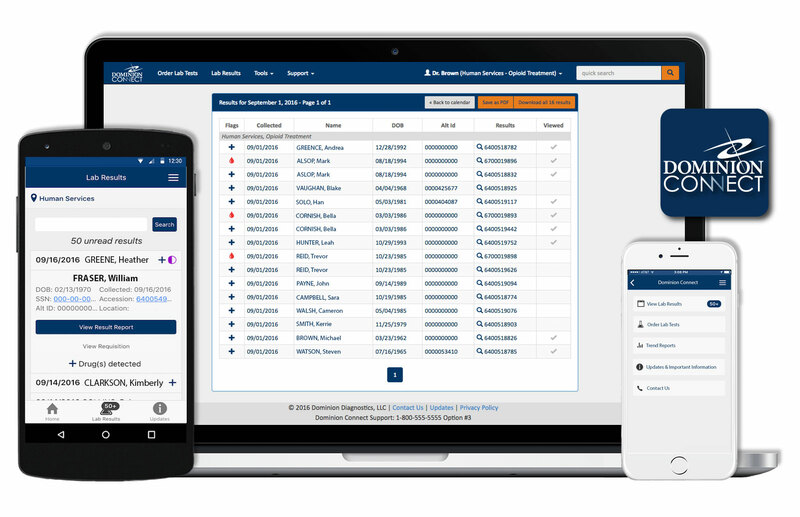 Download Dominion Connect™ MOBILE on your smartphone and/or mobile device for convenient and secure anytime, anywhere access to patient lab results, trend reports, industry updates and information, and support contacts. Set custom alerts to notify you when the lab results you need are ready for review. Dominion Connect™ MOBILE uses the same authentication you’re used to – simply download the app and login using your current username and password.